We are seeking a candidate for the full time role of Personal Lines Claims Assistant. The successful candidate will be part of the AJG Ontario Claims Team, providing support to the AJG Ontario Personal Lines Claims Department. Your positive outlook and willingness to learn are prerequisites to work with our dynamic team. Please email your resume in confidence to Human Resources at ajg.careers.canada@ajg.com and include “Personal Lines Claims Assistant” in the subject line. We thank all applicants for their interest in this opportunity. Please note that only successful candidates will be contacted. No telephone inquiries or agencies please. We are an equal opportunity employer which values diversity in the workplace and are therefore happy to accommodate any individual needs in keeping with the Ontario Human Rights Code and the Accessibility for Ontarians with Disabilities Act. Accommodations are available on request for candidates taking part in all aspects of the selection process. Since 1927 Arthur J. Gallagher & Co. has grown to become one of the world’s largest insurance, risk management and consulting brokerages, employing close to 26,000 people across 34 countries and serving clients in over 150 countries. 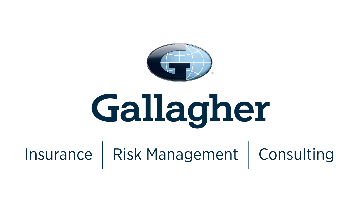 At Gallagher, we are committed to demonstrating the highest level of professional ethics. Our success is underpinned by doing what's right; we lead the way we serve our clients, the way we develop our employees and the way we support our communities. We think and behave differently than other brokers because we know that brand names don’t deliver services – people do. more than 25 offices located across the country. For more information, visit our website at http://ajgcanada.com.